Dan Brown’s religious thrillers collide with the horror and sci-fi of Alien in this spellbinding book. A life-changing religious prophecy and a sinister alien plot entwine in this intriguing science fiction tale. T. C. Joseph explores a frightening prospect in Precipice, the first book of a well-researched series that integrates multiple theories based on church doctrine and stifled scientific evidence. Focusing on three families, Joseph describes in detail a hair-raising chain of occurrences that will impact future generations. His characters, somewhat overwhelming in number, are established to set the foundation for a complicated plot that will propel these families into incredible scenarios. Far-fetched predictions that could result in frightening consequences for humanity infiltrate the minds of this strategically selected cast. Opening in 1969, America is on the brink of cosmic upheaval. An heiress, a Bible student, a priest, and an athlete headed for the seminary come forth as the protagonists. Surrounded by minor players in this spellbinding thriller, these four individuals set the ominous tone as they face eerie manifestations in real and perceived events. At times, the story leans toward soft psychological horror. The predominant feature on their faces was huge eyes that slanted toward the backs of their heads. Each eye was totally black, devoid of any distinguishing iris or pupil. In the areas of the eyes and forehead, their craniums were bulbous and quickly tapered to a point where a chin would normally be. Their noses were flat, like a piece of skin hanging over two breathing holes. They had no lips, just a slit where a human mouth would be. Their complexion was a light gray. This approach to genre holds an eccentric appeal, and the series could attract fans of cult classics steeped in odd fantasy. Yet the convoluted nature of the story—twisting organized religion, spiritual prophecy, and commercial science fiction into a neat packaging pretzel—may alienate those seeking an understandable explanation for countless inexplicable scenes. Presumably, answers to the numerous questions this novel prompts will be found in future installments. This book deserves a high mark for presenting an unusual combination of intimidating possibilities—doomsday hysteria, New Age philosophy, extraterrestrial abduction, and even alien impregnation. In a realm where dreams and visions could be reality, where a place of worship could trigger cataclysmic events, nothing is definitive, and everything is subject to interpretation. Joseph is a devoted aficionado of theological and Bible prophecies study. His writing is backed by a substantial bibliography. 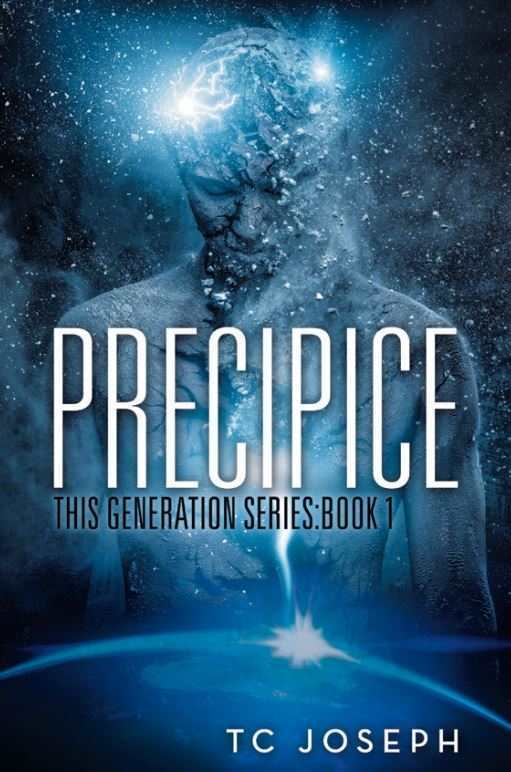 Precipice is his fiction debut.